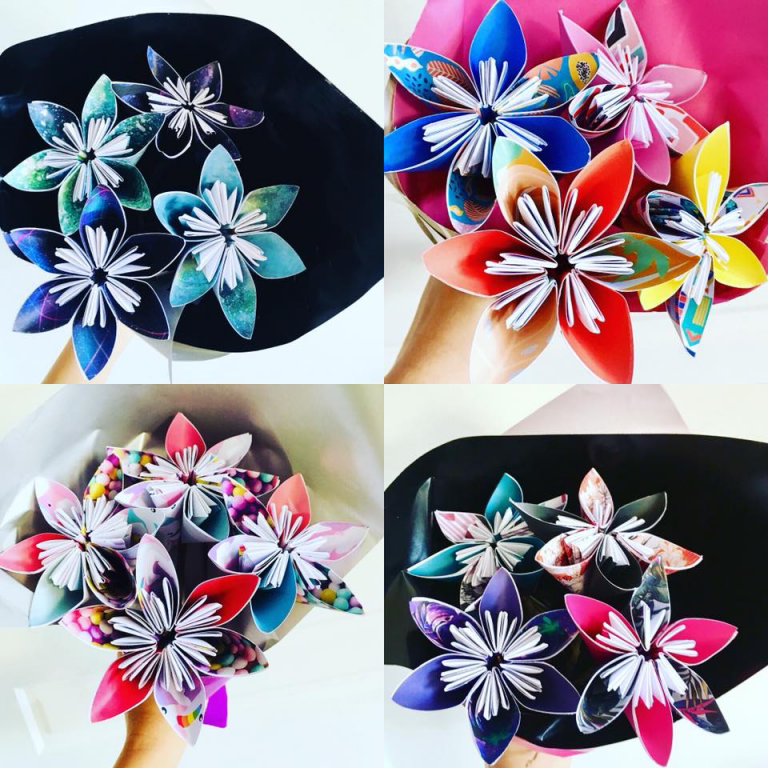 Hanaya is based at the foot of the Foot of the Blue Mountains and creates bouquets of origami paper flowers from a variety of paper including Japanese origami paper, recycled books and music paper as well as selected scrapbooking stock. Workshops give attendees the chance to see and learn how to make these paper flowers and take home a bouquet of that they made with their own hands. In the Origami Flower Bouquet workshop participants will learn some of the ancient art of origami paper folding and use the paper and materials provided to design and create their own bouquet of origami paper flowers to take home. In the Flower Crown workshop, participants will decorate and prepare their own headpiece on which to attach their origami paper flower creations to create a beautiful and original flower crown. Each workshop approx. 1hr-1.5hrs long. Places are limited to 10 so bookings are essential!